Helen Wilmans-Post was an American journalist, publisher and proponent of the Mental Science Movement. Helen was born in Fairfield, Ill. She was highly intelligent as a child, and was even class valedictorian during her college year. In 1856, she married John Caldwell Baker, M.D. Soon after, the couple relocated to Solano Country, California after Helen's husband got caught up in the excitement of the Gold Rush that was occurring at the time. By 1870, Helen Wilmans and her husband had four children, Ada, Florence, Jennie and Claude. They later moved to Lake County, California. Here they started a farming life where Dr. Baker also ran a Quicksilver mine. For over twenty years, Helen Wilmans lived as a downtrodden wife. She did the hard work that was expected of her without flinching, although money was stil being lost each year. The home was eventually mortgaged and finally sold for debt. Then in 1877, Helen's youngest child Jennie died suddenly. The sorrow and the fear that Helen endured during these years finally took their toll on her, and she longed for a way out. Helen had no money of her own, or any idea how she was going to live. She was determined to leave her husband and also fulfil her long-time dream of becoming a 'literary woman'. As soon as she got her opportunity, Helen traveled to Lower Lake, California with her small suitcase full of her possessions and only a few dollars in her purse. Things were difficult for Helen at first, but she eventually found her way to San Francisco where she secured a job position with a local newspaper. About six months later, the newspaper went out of business. Helen found work with another newspaper and soon made enough money to secure a comportable life for herself. After working as a journalist, she began writing books and eventually decided that she wanted to start working as a teacher and a healer as well. Through her hard work and faithful optimism, Wilmans started to realize her dream. It was around this time that Helen Wilmans would become a student of Emma Curtis Hopkins and began diligently studying Christian Science. This would set her on a path to becoming one of the most important and influential figures in the Mental Science and New Thought movement in the nineteenth century. A few years later, a large Chicago paper the Chicago Express hired her at an excellent salary and she moved there. While in Chicago, Helen started The Woman's World and became the founder of the School of Mental Science. Helen Wilmans went from a middle aged woman, having been shattered by many stresses and sorrows, and living among strangers with no money, to starting her own successful business and healing ministry, without any prior business or management experience. She soon met Charles C. Post who was a writer. The two married and later moved to Georgia where they lived for 5 years. In 1892 Charles C. Post and Helen Wilmans-Post moved to Seabreeze, Florida where they [PURCHASE]d several acres of land from C.A. Ballough, The Posts began to develop a town across the Halifax River from Daytona Beach. Helen Post named it “The City Beautiful,” but was really originally called East Daytona. The town of Seabreeze was formerly incorporated on May 24, 1901, and Charles C. Post became the first mayor. Helen and her husband also started a publishing company where they published a weekly paper called “Freedom,” along with numerous other books publications. Helen Post become renowned as a leader in the Mental Science field and the success of her healing ministry grew as mail began pouring in from people around the world seeking her books, advice and healing. Helen’s son-in-law was credited by some with having the post office moved from the community south of them to Seabreeze, where the seat of the Mental Science activities took place. The residents of the southern community resented having the post-office moved and were quick to begin an investigation and prosecution for alleged violations and misuse of the U. S. mail. Suddenly Helen Wilmans would be accused of making fraudulent use of the the United States mails by soliciting money for her "absent treatments." Wilmans was discredited and the vaulue of absent treatment was called into question. Many former students, healed patients and others active in the Healing and New Thought movement came to her defense. A Post Office Fraud Order was placed on Helen Wilmans without any prior notice; she had no hearing, trial or conviction. Helen Wilmas was suddenly cut off from the world without being given the chance to properly or legally defend herself. She was publicly condemned without a hearing or trial. After this, Wilmans was indicted on the charge of fraud. The U.S. Government contending that her 'claim of cure by absent treatment' was fraudulant because it was 'impossible to be done'. 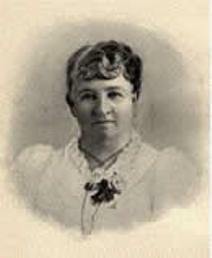 Although Wilmans, and many others involved in work similar to hers, were indeed succesful in treating patients at a distant of many ailments through the use of Mental Science and Christian faith healing techniques, and even with patients admitting that they had been healed by the long-distant treatments, the U.S. Government did not believe that such 'absent healing' was possible, and therefore Wilmans 'mail business claims' were fraudulant. All of the prosecution lasted over six years, exhausting all of the wealth of Charles and Helen Post with attorney fees and court costs. The United States Supreme Court eventually reversed the decision and the matter was dropped. But by this time, Helen Wilmans had already been left impoverished, her business ruined, her reputation destoyed, and her spirit broken. Not long after this, Helen's husband died. She had no further desire to go on with her work, and soon after she passed away. Helen Wilmans-Post was one of the many wonderful women of New Thought. She was much misunderstood and maligned by those who either did not know her or were prejudiced by her pioneer methods. Wilmans published dozens of books on Mental Science, and healed hundreds of patients from various illness and diseases, as well as teaching thousands of students how to heal, energize and build themselves up the way she had in her own life. Despite her difficulties, millions of people today are still being inspired with knowledge of how to succeed in business and personal life from the many teachings of Helen Wilmans and her students. Helen Wilmans was one of the most broadminded of the leaders of the movement, with pioneer spirit and courage, and when others accepted or compromised with the arbitrary and bureaucratic methods of the Post Office Department she defied them and fought to the end. Her resistance endured to the great ultimate advantage of the movement, even in the face of the criticism and condemnation with which she was greeted by some of the New Thought leaders. Despite these early difficulties, millions of people today who are using practical psychology in their professional duties, business problems, home relations or personal life gained their first knowledge of how to succeed from teachings that stemmed from Helen Wilmans and her army of students. Helen Wilmans became one of the most broad-minded leaders of the New Thought movement. She had a pioneering spirit and courage, she endured even in the face of criticism and condemnation she received, even from other New Thought leaders at the time.